The Reed Art Gallery has showcased a wide range of art–by nationally and regionally known artists, by students, by the local arts community, and from the University’s art collections–since its opening in 1992. In recent years, the Reed has had the privilege of collaborating with Canon USA’s Explorer of Light Program to bring nationally known artists Joyce Tenneson and John Paul Caponigro to the area. It also has the distinction of being one of only three University galleries in Maine to receive a gift of Andy Warhol prints and photographs from the Andy Warhol Photographic Legacy Program. The gallery also fulfills an important role in the community arts scene, participating each month in the Presque Isle First Friday Art Walk. The Reed Gallery, housed for many years in the Campus Center, moved to its new home in the Center for Innovative Learning (formerly known as the Library) in Fall 2015. You can learn about the new 2,000-square-foot space and its Rededication in this story. The Reed Gallery is located in the Center for Innovative Learning (formerly known as the Library) and its hours of operation follow the CIL’s operating hours; to view hours of operation, which may include special hours due to University breaks or holidays, please visit the CIL’s webpage. For a campus parking map, click here. For more information about current or upcoming events, please contact Gallery Director Hyrum Benson at hyrum.benson@maine.edu. In Spring 2014, the University proudly unveiled the newest addition to its art collection–a gift from the Kohler Foundation, Inc. of more than 800 art pieces by renowned artist Bernard “Blackie” Langlais (1921-1977). Included are sketches, sketchbooks, studies, models, archives, and more than 30 wooden sculptures and wall pieces, valued at more than $200,000. The gift makes UMPI the premiere research facility for art lovers and scholars who want to study Langlais’ artistic process. UMPI is home to Langlais’ last work, the 4-ton, 30-foot-tall outdoor wooden sculpture, The Owls. 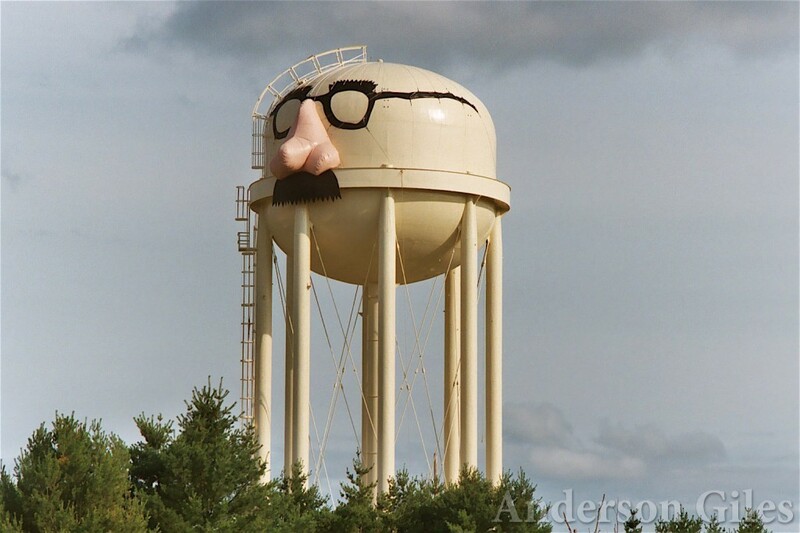 Find out how this connection led to the recent gift from the Kohler Foundation, and learn more about the man behind The Owls, in the special catalogue linked below. This catalogue was created to accompany the UMPI exhibition displayed in the spring of 2014 that provided the public with its first glimpse of the recently acquired work. UMPI’s Langlais gift led to inclusion in the Langlais Art Trail, a “road map” for art enthusiasts and Langlais fans to more than 3,000 works by the artist at more than 50 institutions and communities across the state. 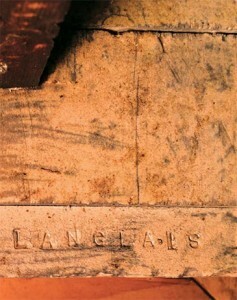 To view the new Langlais Art Trail website, visit langlaisarttrail.org. You can also learn more about the efforts to restore Langlais’ work in the short documentary linked below. Special thanks to Yoke and John DiGiorgio for allowing us to share this video on UMPI’s website. Renowned Maine artist, Bernard Langlais, created over 3,000 indoor and outdoor works of art during his lifetime, many of them constructed in response to his surrounding landscape at his Cushing property. Unique, edgy and very creative, he was also well known as a painter in NYC where he lived during the 50s and 60s. This 10-minute documentary tells the story of the collaboration of three organizations – Colby College Museum of Art, Kohler Foundation Inc., and Georges River Land Trust – and the effort to restore and preserve his artistic legacy. BERNARD LANGLAIS Restoring And Preserving The Legacy from John and Yoke DiGiorgio. The Vera events, held between March 1 and April 13, 2013, were named in honor of the eclectic and independent local historical figure Vera Estey and included an exhibition at the Reed, a literary journal, two receptions, a performance, a historical tour, and a panel discussion. The large slate of events was co-organized with the Mark and Emily Turner Memorial Library and the Presque Isle Historical Society. 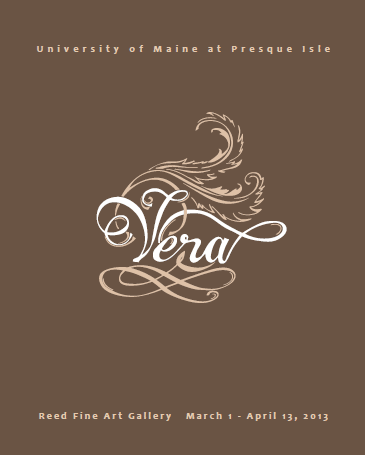 Though this celebration of Women’s History Month is over, you still have the opportunity to experience one piece of our Vera series—our Vera literary journal that features the works of 8 women with ties to Aroostook County. Click the image below to peruse the Vera literary journal. In 2009, the Reed Gallery hosted a Phish Retrospective exhibition, highlighting the three enormous Phish Festivals that were held at the former Loring Air Force base in Limestone, Maine in 1997, 1998 and 2003. As part of that exhibition, a small webspace was created to showcase the artwork and many photos connected with those festivals. Click here for more information about this show and a comprehensive collection of photos related to it.